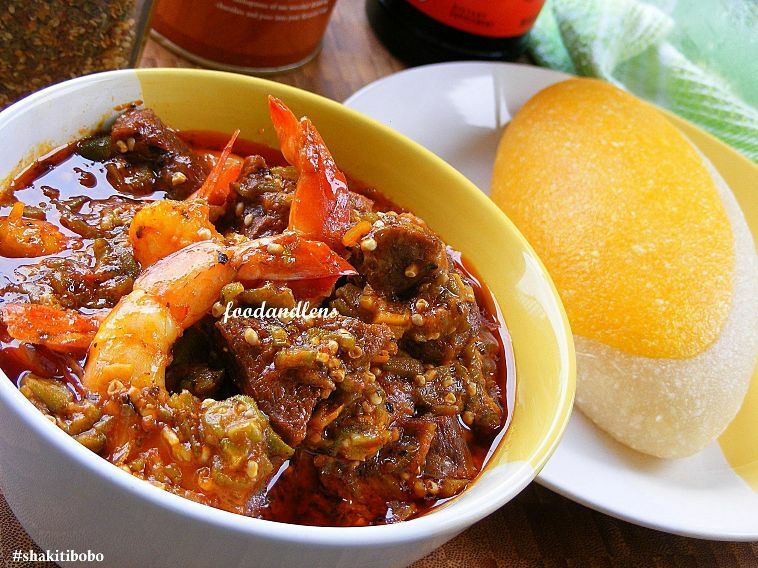 Food and lens: Apon/Ogbono With Yellow Gari/Eba. Other possible ingredients if desired. Add boiled meat, cow feet, dried fish, dried shrimp and the rest of the ingredients. Let simmer at low heat till done. Serve with any fufu of your choice..
Great presentation, I c Gari in a new light. Ah! Alhaji! I'm hungry just looking at this! How are you? It's been ages. I may have a business proposal for you. What's your email address? i just tried to make this and it was a total disaster!!! i am not sure what i did wrong.